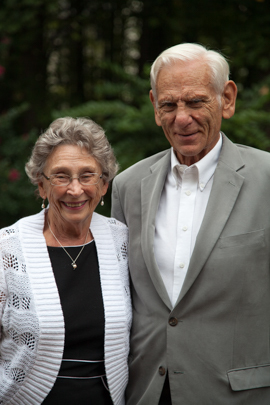 Francis and Barbara Balint have always been interested in instilling the importance of education, not only in their own six children and their seventeen grandchildren, but all children. Throughout the years, they have made monetary donations to a variety of colleges and universities as well as smaller educationally-based charitable organizations. They are a very giving and supportive couple. Kathleen Christesen founded Balint Charities, Inc., to honor Francis and Barbara and provide a legacy of the importance of reading and music in a young child’s life. When I was nine years old, I found an old record featuring Ira Gershwin playing “Rhapsody in Blue” with the Paul Whiteman band. I played it over and over again on the old wind-up Victrola also left to die in the basement. I was hooked! Music became an important part of my life – not as a performer, but as a listener. My college interests were mathematics and science, but many of my friends were musicians and I enjoyed many hours listening to them. Our family home, when our children were young, was filled with all types of music, from jazz to classical to “America’s Songbook”. I am happy to extend that love of music to children everywhere. The love of books has been with me for a lifetime. A happy summertime memory for me was being allowed (at the age of 7 or 8) to walk seven blocks to the public library in our small town. I would check out several books and then slowly start walking home, reading as I went. Sometimes I would arrive home with only a couple of them left to read! So the next day I would walk back downtown and repeat the process. What a wonderful summer – so many books! I wish every child could have that opportunity to find the joy in reading. Being read to, the first step, is what Balint Charities is all about.